One in four decision makers working for SMBs believe that Making Tax Digital (MTD) will have a positive impact on their business in the long term though some of those affected are still unprepared for next week's deadline. As of Monday 1 April, MTD for VAT (MTDfv) will come into force for VAT-registered businesses with VAT taxable turnover exceeding the £85,000 compulsory VAT registration threshold. This means that those businesses will need to keep records digitally and submit all future VAT returns using MTD-compatible software. 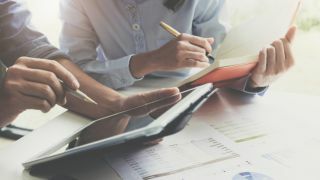 According to a new survey from YouGov, 26 percent of 1,000 small and medium-sized business decision-makers believe that the process to move taxes onto a digital platform would be a good thing for their business with the next five years. However, on the other hand, only 16 percent believe it will have a negative impact while almost half (46%) said it would make no difference. Of the SMB businesses affected by MTDfv, more that one in ten (11%) said they were very or extremely unprepared for the new scheme to come into force. YouGov's survey also found that 15 percent of SMBs didn't know how prepared they are while 56 percent said they were fairly or extremely prepared.